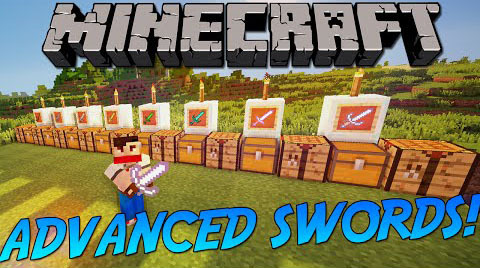 Advanced Swords Mod contains a lot of new type of swords that are all extremely powerful and flexible. 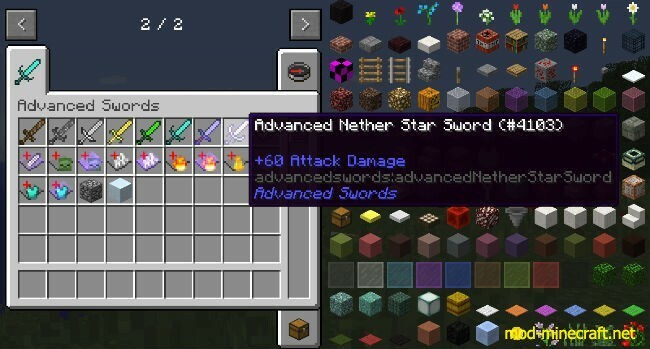 From advanced wooden swords to the incredible advanced nether star sword, this mod is sure to quench your thirst for power. 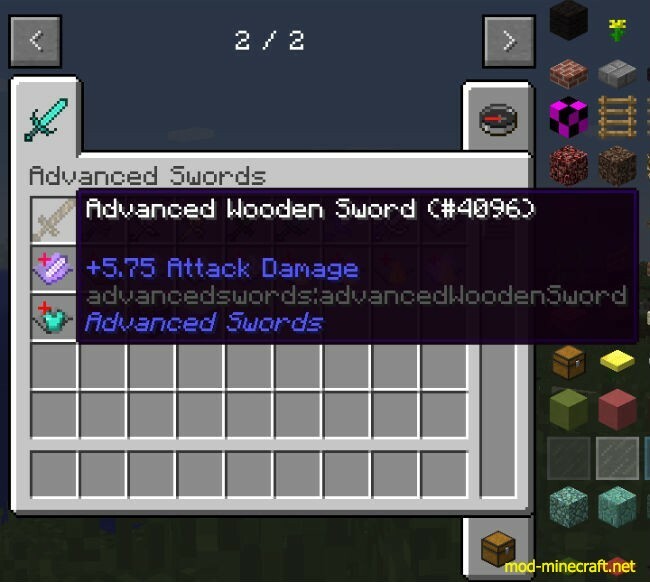 This mod also includes sword enchantment upgrades, which allow you to pick and choose enchantments for your sword without needing an enchantment table or enchanted books. 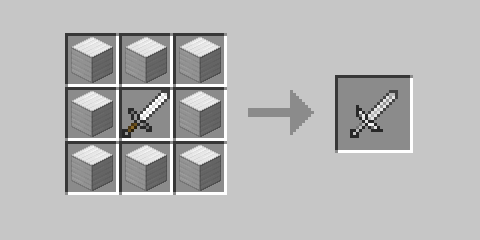 Simply craft the sword with the upgrade and its enchantment level will go up by one. 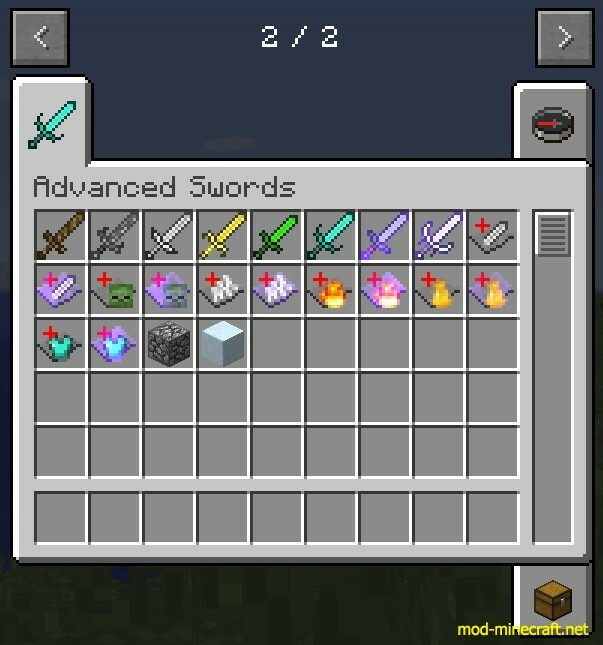 You can also access enchantments up to twice the normal maximum by crafting elite enchantment upgrades, but some of these get quite expensive. 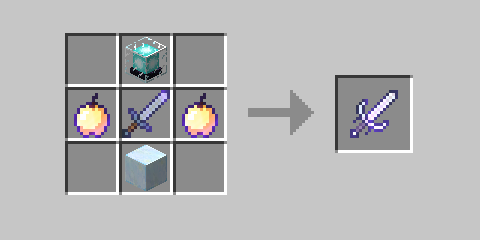 The latter is quite expensive indeed, as it’s crafted with a regular nether star sword (2x nether stars + a stick), a beacon, a nether star block (9x nether stars), and 2 enchanted golden apples.